All the oral presentations will have 10+2 minutes (presentation+discussion) or alternatively 12 minutes (just presentation). Only the first presentation of a session has a 'bonus' of 5 extra minutes. Please note, that we offer the opportunity for a short oral presentation of posters (2 minutes each) and that three posters will be selected for a poster prize during our meeting (first place 150 Euro, second 100 Euro and third 50 Euro). The allowed poster size is 841 x 1189 cm (A0; 'portrait format'). Speakers are encouraged to make their oral presentations using power point. Our Windows 7 computers support all Power Point versions. Please submit the presentation file (CD or USB) during registration in the conference venue Hotel Mercure Potsdam (see VENUE). Participants are encouraged to consider structuring their presentations to address one or more of these topics. A detailed programme can be downloaded soon. The Fen Polder Stangenhagen is situated about 20 km south west of Berlin (52° 12’N, 13°5’E, 36 m above sea level). The fen was drained for intensive agriculture use until 1990. 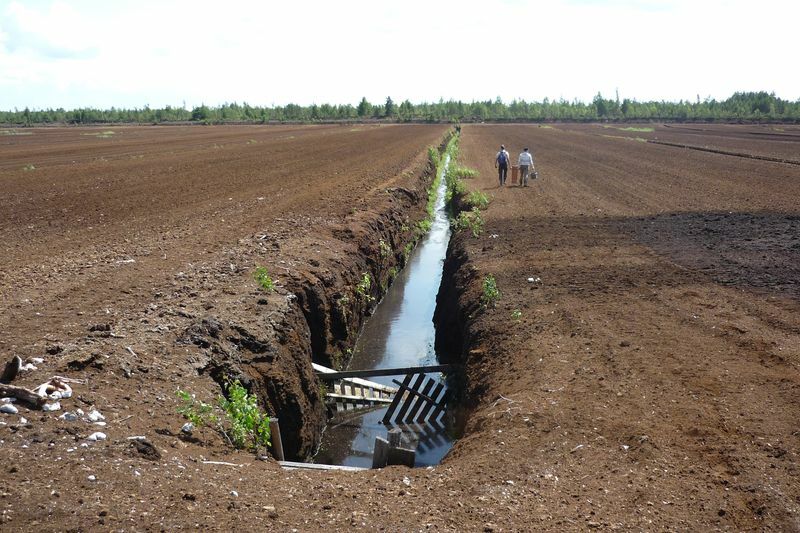 As a consequence of a technical accident involving the pump station, with the help of peat mineralization and shrinkage, a group of three extended shallow lakes several 100 ha large, the oldest permanently flooded fen in NE Germany was created. The newly developed vegetation is, dependent on the hydrological conditions, dominated by Lemna spp., Ceratophyllum demersum, Phragmites australis, Typha latifolia, Glyceria maxima, and Carex spp. An extensive wooden walkway has been built including a bird watching tower allowing a fantastic view over the newly formed ecosystem which has become a unique breeding and resting place for a sensational multitude of water-birds. From 2010 to 2015, the NaturSchutzFonds Brandenburg [Nature Conservation Foundation of Brandenburg] undertook a LIFE Nature project for the maintenance and restoration of alkaline fens in Brandenburg (North-East Germany). These habitats, which were more prevalent in Brandenburg a century ago, are disappearing and can be restored only by complex restoration measures. The alkaline fen “Töpchiner Seen” is situated about 50 km south of Berlin. The water level of the “Töpchiner Seen” was artificially lowered 200 years ago to create arable land. In the 1970s drainage was further intensified. 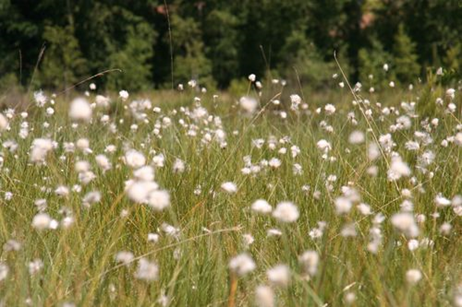 In 2010 the EU LIFE project “Alkaline fens Brandenburg” commenced, the ditches were still active and shrubs and reed outcompeted the natural fen meadow vegetation. Therefore a natural water level has been re-established, the overgrown meadows have been moved and shrubs have been removed. In open mesotrophic areas species such as Succisa pratensis, Epipactis palustris, Dactylorhiza incarnata und Helodium blandowii can still be found. In order to keep the fen meadows open a grazing management regime using water buffalos has been established. The fens have the potential to develop into the largest alkaline fen in Brandenburg. The guided tour leads you along the new lake of Schlabendorf and shows the various outdoor area of the information center. You will find out how a former mining area developed into this nature paradise. In the year 2000, after decades of brown coal mining, the Heinz-Sielmann Foundation (Link) bought more than 3.000 hectares of this landscape to preserve it for nature. Since establishment, rare species have found new habitats and refugia within the wide sandy areas of Wanninchen and the new lakes and wetlands. Cranes and geese come here for their resting period in autumn, wolves have settled here and you may hear the typical call of the endangered hoopoe.